Here at iGlaze our window repairs team are able to fix your window issues quickly and efficiently. We can tackle security issues with window locks, windows that aren’t closely properly, hinges that are stiff to open or perhaps handles that are broken off or loose. 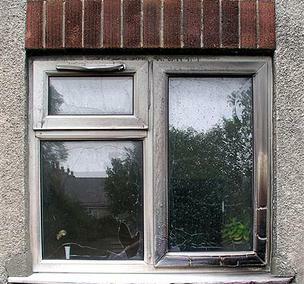 We can repair windows whether they need replacement parts, they have discoloured over time or if they are not just as good as they used to be. Double glazing is formed from two panes of glass sealed together, with a gap left between them, to form a double glazed unit. The air trapped inside the window, creates an insulating barrier that keeps heat in and the cold out! It is only when the seal on the glass fails that condensation gets into the window, resulting in the window misting up or fogging. The seal can break for a number of reasons, but is mainly due to the age of the window and how it was manufactured and how it was originally fitted. You will often find that most moving components of your windows, such as the window locks, hinges, handles etc, are covered by your manufacturers guarantee but only for one year. After this the supplier of the original window may want to charge you sky high prices to fix a problem. If you find yourself in this situation contact us for a free, no obligation quotation. Dependant on the age of your window it may not always be possible to replace the damaged or broken part with the same part again, but through our reliable suppliers it is very likely we would be able to find a part that could work as a like for like product to repair the window. We work with a lot of home owners who are redecorating their homes and require windows or handles to match and enhance the feel of the newly decorated room – we are happy to offer guidance on the right windows for you if you are unsure. It is often believed that PVCU windows and doors do not need regular maintenance but this is not always the case. If you want your PVCU windows and doors to last for many years to come it is highly recommended that once or twice a year you call in a window repair expert to come round and lubricate all moving parts of your windows so they are able to continue to work properly and efficiently. If you have any queries of concerns about your windows or if you think you may require our window repair services please do not hesitate to call us. – we’re always happy to help!